The room next to the main dining space at Charleston’s elegant Husk now houses an innovative cocktail bar. The space has been completely transformed into one of the city’s hot spots. The room next to the main dining space at Charleston’s elegant Husk now houses an innovative cocktail bar. The space has been completely transformed into one of the city’s hot spots. 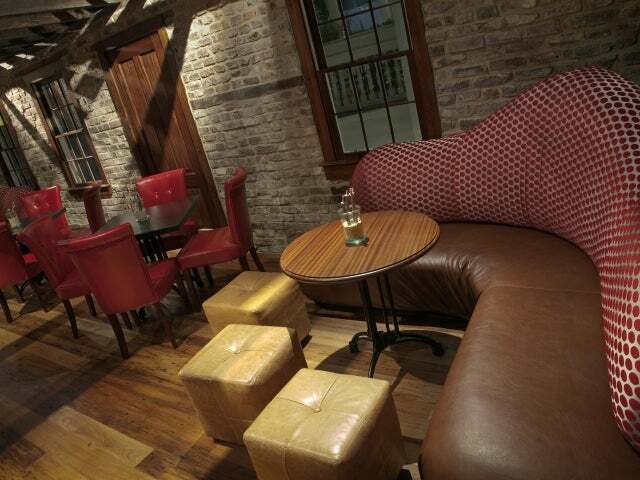 It’s a handsome spot, with exposed brick walls and lots of warm wood, the atmosphere evoking a more glamorous age. 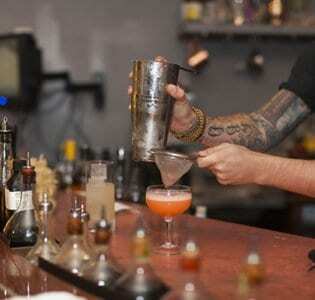 The emphasis is on classic cocktails served by talented and passionate mixologists. The second-floor lounge overlooks Husk’s streetside veranda and offers some of the most delicious drinks in town. It’s a great place in which to wait for a table next door or to visit as a bar in its own right. Cocktails and rare artisanal microbrews feature on the menu; from the former we like the sound of The Garden Party, a blend of Jasper Barrel Gin, Bechorovka, apple juice, lemon juice, Himalayan Pink salt, and maple syrup, and the historic Charleston Light Dragoon’s Punch, a mix of California brandy, Jamaican rum, peach brandy, Black tea, lemon juice, and raw sugar. There are a couple of interesting barrel-aged numbers as well as a wide-ranging wine list grouped by terroir and soil type.